This may sound so simple but by adhering to LEED Architectural office design guidelines, you have overcome one of the biggest challenges. Leadership in Energy and Environmental Design (LEED) approval is important when designing your office building construction. It will not only earn your firm some tax incentives but it also contributes immensely towards environmental conservation. While constructing your office building find ways of using sustainable, recycled, and locally available materials. You should also find ways of reducing energy consumption when constructing your buildings. Another great way of conserving energy is by reusing parts or renovating standing building’s frame or shell. You should also be on the lookout for office furniture liquidations, since there are dozens of used office furniture and accessories that are still in excellent working condition. When purchasing office furniture and other office accessories, go for items that are in good condition, are durable, and reusable. One of the easiest ways of getting the quality furniture is by buying from a trusted office furniture supplier. That way you do not have to assess the parts. Some of the items that take up a lot of a firm’s finances include; workstations, office chairs, cubicles, desk suites, conference tables, uniform task chairs, and reception desks. Such items should be sourced from a reliable resource. It will even be much better if you buy from a supplier that offers several different styles and brands. This is perhaps one of the most popular methods employed by many firms when it comes to going green. When you buy used office furniture you get some benefits that include; minimize operation costs, get LEED certification, get positive publicity, conserve the environment, and many others. One of the major advantages of using used furniture is that you avoid using raw materials and thus it is one of the simplest ways of going green. Those who have furniture they want to sell or dispose should do so through an environmentally friendly manner. The best way of doing this is by calling reputed office liquidators. An expert is in a better position of disposing the furniture in a manner that does not damage the environment. By hiring a professional you not only get your money back but you also help conserve the environment. You may be surprised that some simple routines can contribute to energy conservation. These include, turning off computers, turning down A/C and heating, use of automatic lights, turning off monitors, and many others. All of these contribute to energy conservation. You can also use wired technology optimally instead of wireless technology since the latter consumes more energy. Electronic filing also minimizes the use of paper and hence translates to use of less trees. This is an excellent way of not only utilizing energy but also improving employee morale. Working environs that integrate with nature increase awareness on the need to conserve the environment. The use of natural lighting within working areas is a great way of conserving energy. You can use glass walls and skylights. You should also talk to your architect so that the design of the building is such that it allows the wind to ventilate the building. Place recycling containers in easily accessible areas. 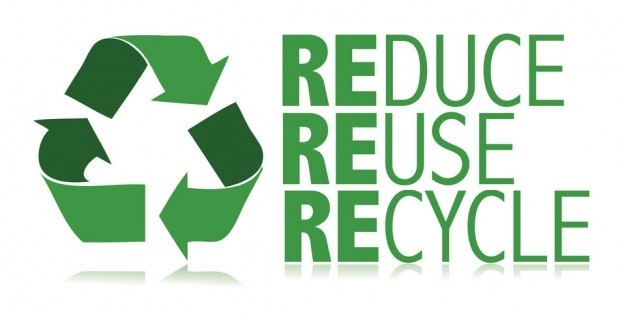 Once you have collected the waste materials ensure they are reduced and reused where possible. Instead of printing stuff, read the content from your monitor. If you have to print, ensure you print both sides of the paper. You can also use waste paper for doodling and once filled up recycle. Even though alternative and clean sources of energy are expensive, they contribute immensely to environmental conservation. The use of solar energy is gaining popularity among small and large organizations alike. It is not only durable but it is efficient as well. This is one of the best ways to go green and minimize energy expenses. You should expect change and plan for it in advance. 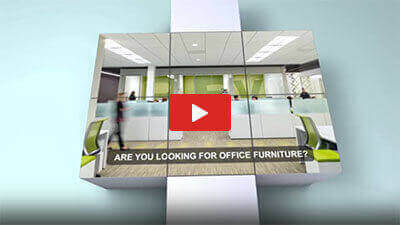 Instead of buying standard furniture, go for more flexible office furniture. These will help reuse space for several purposes. Try to think of some of the things you have to do within the available space and consider them when buying the furniture. Some of the best ways to anticipate and plan for the future include; use of panelling and movable walls, have outlets in predictable places, use of stackable chairs, and many others. In the long run, this will accommodate future growth, save money, resources, and energy. There are so many donations and fundraisers geared towards going green. Your firm can participate in these initiatives or start one that sells green products then donate the proceeds to good nature conservation strategies. By simply being a part of such initiatives you contribute to environmental conservation. You can also initiate some going green projects within your office building. For instance, rooftop greens programs will create amazing sceneries within the office buildings. There are so many ways an organization can contribute towards going green. Do not be deceived that you have to spend a lot of cash in order to participate in going green. Some small and simple strategies can hugely contribute in the long run towards environmental conservation. This list is by no means exhaustive, therefore seek other ways of going green and be a part of such a good cause.